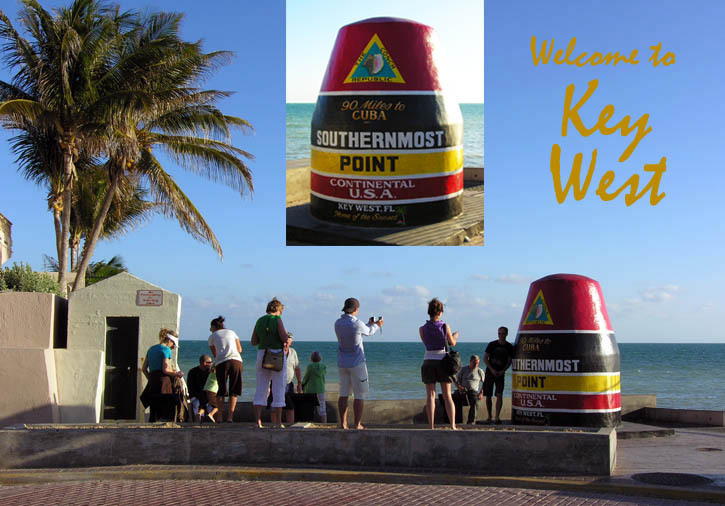 Tourists taking photos at the southernmost point in the USA - Key West, Florida. Only 90 miles to Cuba! 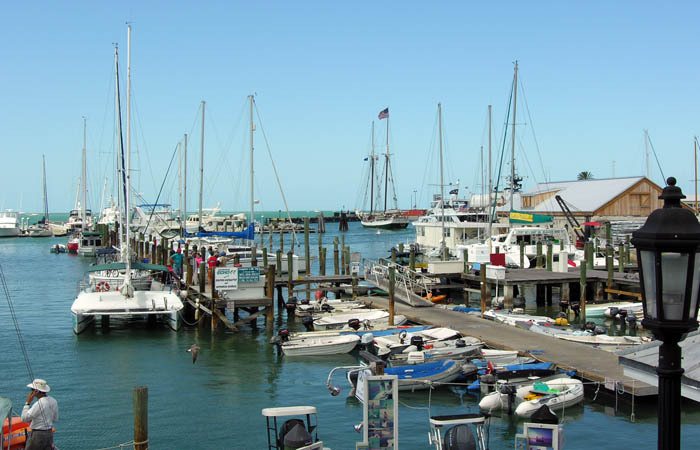 Lots of activity in Key West Harbor. A pretty two-masted schooner, Western Union is heading out for an afternoon tourist cruise. A surprising amount of art here! 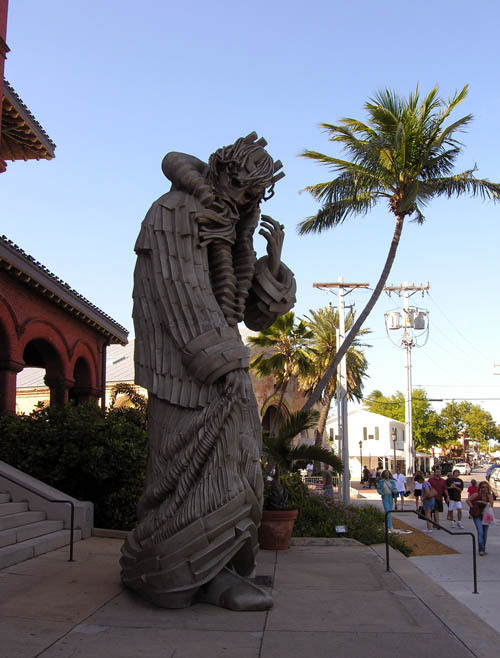 This sculture was named "Daydream". I rather liked it. This one was named "The Tourist"! We decided to drive down to Key West because of continuing 15-20 knot NNE winds. 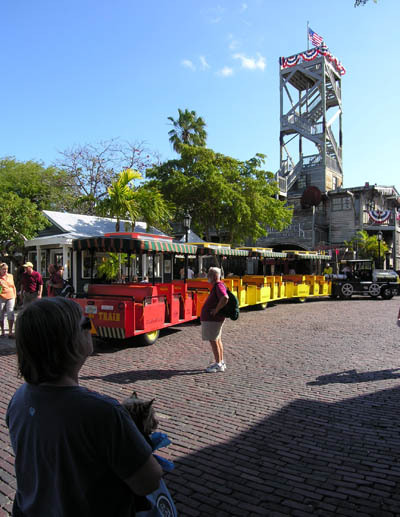 We rented a car in Marathon ($29/day), the 50-mile drive takes just over an hour. 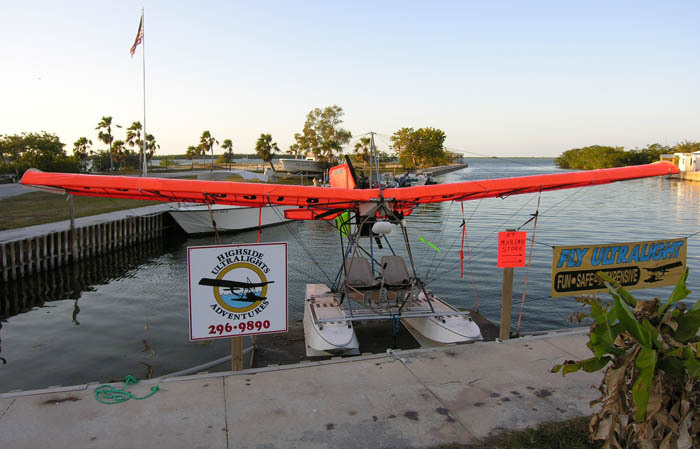 Marinas in Key West are crowded and expensive, so this seemed a good way to check out the place. It seemed a bit more "Disney" than I remember. 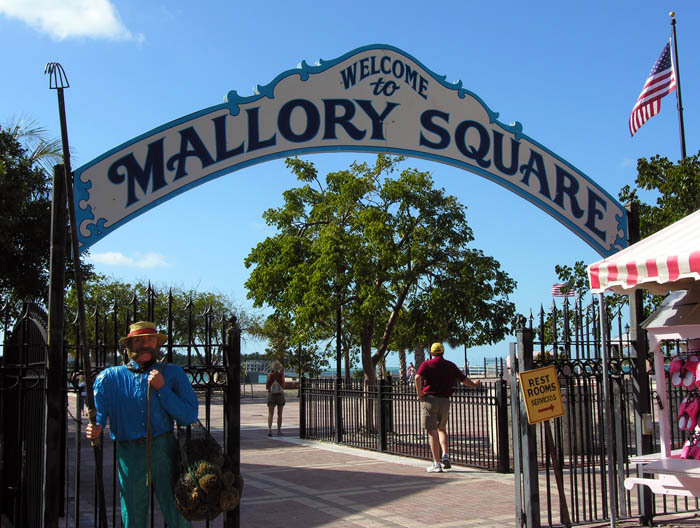 Mallory Square is paved and the street performers now have little mobile stations (presumably licensed by the town). It's no longer as spontaneous and free wheeling as it used to be. Also, at this time of year, the sun sets over Sunset Island rather than over the water, we thought the sunsets in Marathon - visible right from our slip - were better! I think this was supposed to be Posidon. One of the entrances to Mallory (Sunset) Square - with more "art" in evidence. overweight tourist in the background - click to see bigger. 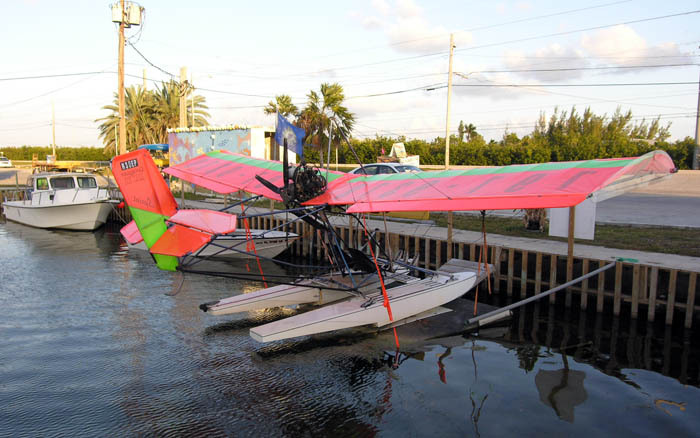 A Quicksilver Sprint II on floats - much like the one I used to fly!